WWOOF is a network of national organizations that help volunteers to live and learn on organic properties. WWOOF organizations bring together hosts and volunteers ("WWOOFers") to help make a sustainable world. WWOOF enables people to live and volunteer on a variety of organic properties. Volunteers (WWOOFers) help on the land and home for 4-6 hours a day and hosts provide the food and accommodation. If you want to have hands on experience, learn and share organic and sustainable ways of living then WWOOF might be for you. Usually you live with your host and are expected to join in and cooperate with the day to day activities. In most countries the exchange is based on 4-6 hours help-fair exchange for a full days food and accommodation. You may be asked to help with a variety of tasks like sowing seed, making compost, gardening, planting, cutting wood, weeding, harvesting, packing, milking, feeding, fencing, making mud-bricks, wine making, cheese making and bread making. The length of your stay at the farm is negotiated directly between you and your host. Most WWOOF visits are between one and two weeks, though some may be as short as two or three days or as long as six months. 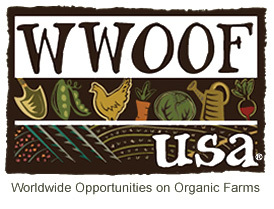 Want More Information about WWOOF (World Wide Opportunities on Organic Farms)? Your request will be sent directly to WWOOF International. By submitting this form I confirm that I am at least 13 years of age and give my consent to be contacted by WWOOF International by email as well as by phone and/or mail (if provided).